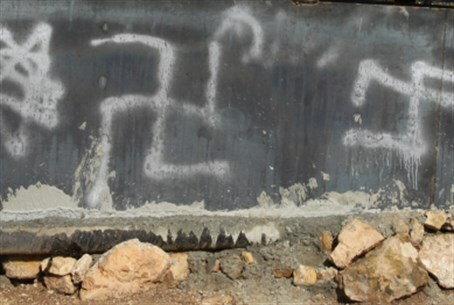 Anti-Semitism, unfortunately, is alive and well, and even growing, according to Yaakov Hagoel, who deals with anti-Semitic incidents for the World Zionist Organization. Speaking to Arutz Sheva, Hagoel said that he receives reports each day of anti-Semitic incidents occurring throughout the world. This weekend, the world commemorated International Holocaust Memorial Day, honoring the memory of six million Jews and many millions of others who were killed by the Nazis. The annual event takes place on January 27, the anniversary of the liberation of Auschwitz-Birkenau by the Soviet army. The WZO, along with the Jewish Agency, held live discussions and rallies that were broadcast over Internet, with feeds from dozens of locations around the world. The rallies called for an end to anti-Semitism, and were organized by WZO representatives stationed around the world. Arutz Sheva broadcast the central Israeli rally, held in Holon, on Sunday night. That event was attended by Jewish Agency Director Natan Sharansky, along with Eli Cohen, an expert in anti-Semitism, who discussed Jew-hatred on the Internet and on social networks.